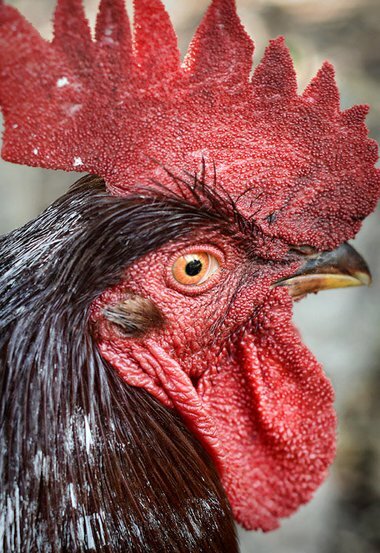 For readers of yesterday’s post Running Afowl of the Law, I wanted to update you on “Carl the Downtown Rooster” from Ocean Springs, Mississippi. After a heated town council meeting yesterday, Carl and his sidekicks were released at 11:00 today to adoring fans and fawning press. Carl will take your questions now. Carl is happy to be free to amuse and entertain the citizens of his colorful coastal town. 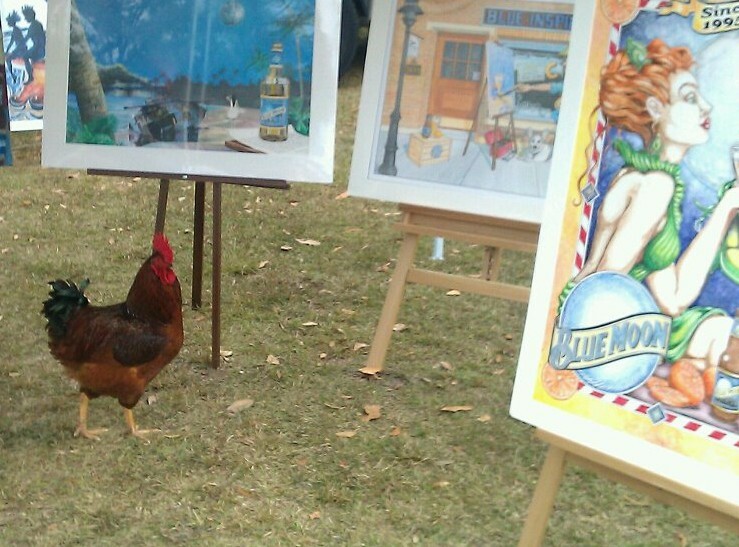 Carl judges an art show in Ocean Springs. Carl’s ordeal has skyrocketed him to fame and he now has over 600 Facebook friends! Daisy, Rosie and Violet have been waiting on pins and needles to see if their heartthrob would be released. They think Carl is dreamy and Carl is in complete agreement. Disclaimer: These great photos of Carl were pilfered from his Facebook page. They were posted by his many adoring fans. Yay Carl!!!!!!!!! Keep those innocent girls away from that pecker though. Nothing good can come of it! They’re about 300 miles from Carl’s appendage. That should be enough! 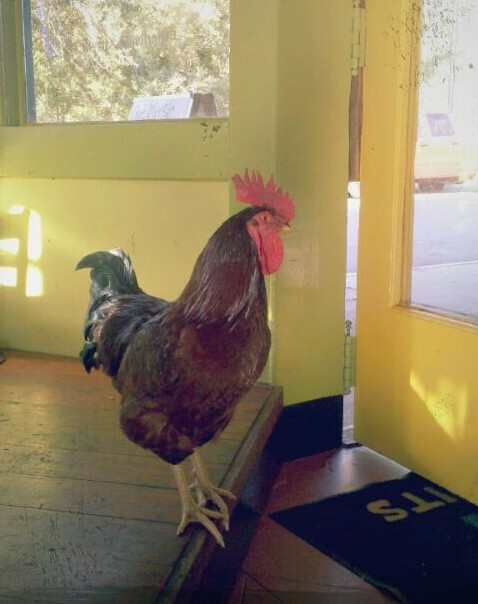 I have a cute photo of the black and white rooster that is one of Carl’s friends…when I work the Art House downtown, they ALWAYS seem to show up just when I have food. It’s like they sense it;) As soon as I grab a sandwich from Lulu’s, I hear them crowing…I’d crow for Lulu’s, too though!